CAE is growing its cadet intake at its Spanish training centre in Madrid and has just installed a new Airbus A350 7000XR full-flight simulator. CAE Madrid was launched in August 2017 with European low-cost career Volotea. So far, 17 cadets have started with the first six recently completing the EASA ATPL ground school, going on to start the flying phase at CAE’s flagship flight academy in Phoenix, Arizona. The next class of 20 cadets will begin training in the fourth quarter of 2018. The plan is for CAE Madrid, a joint venture between CAE and Iberia Airlines, to train more than 10,000 pilot and cabin crew every year. 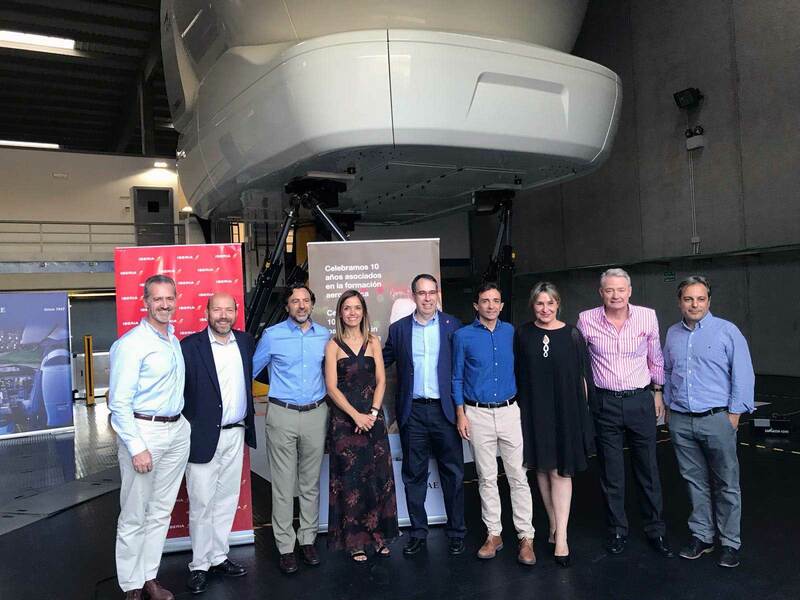 This will meet the training needs of multiple operators in Spain and across the region, including Iberia Airlines, Vueling, Volotea, Air Europa, Stobart Air, Air Nostrum, White Airways, and Binter Canarias. “The demand for professional pilots is on the rise, with more than 50,000 pilots needed in Europe over the next decade,” said Nick Leontidis, CAE’s Group President, Civil Aviation Training Solutions. “We look forward to providing cadet training for tomorrow’s captains for many years to come”. CAE Madrid delivers ab-initio pilot training in addition to type-rating training for Airbus A320, A330, A340, A350; ATR 72-600; Boeing 787; Bombardier CRJ 200/900/1000, Q300; and Dornier Do328TP platforms.